Make this seasonal soup favorite, tested in Cook's Illustrated famed kitchens, at home. Some of Cook’s Illustrated’s favorite recipes will be served at the America’s Test Kitchen food festival in Seattle on Nov. 2. 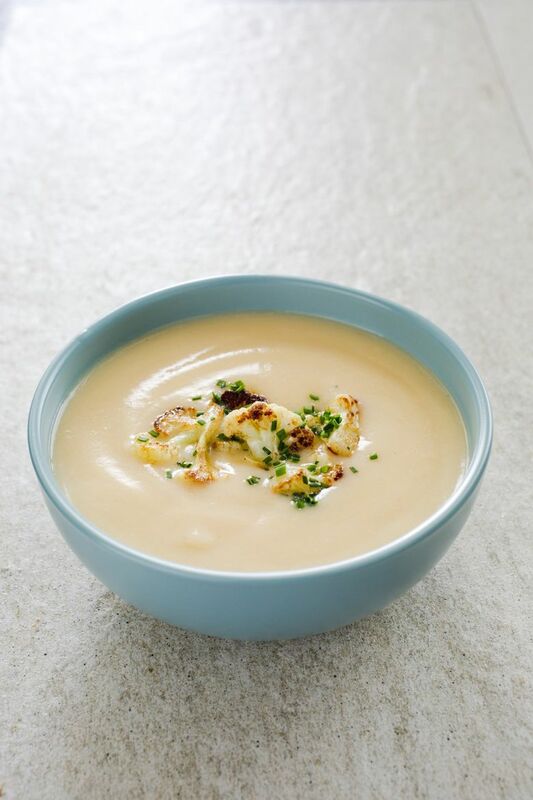 Among the seasonal favorites is a creamy cauliflower soup that you can make at home. 1. Pull off outer leaves of cauliflower and trim stem. Using paring knife, cut around core to remove; slice core thin and reserve. Cut heaping 1 cup of ½-inch florets from head of cauliflower; set aside. Cut remaining cauliflower crosswise into ½-inch-thick slices. 2. Melt 3 tablespoons butter in large saucepan over medium-low heat. Add leek, onion, and 1½ teaspoons salt. Cook, stirring often, until leek and onion are softened but not browned, about seven minutes. 3. Add 4½ cups water, sliced core, and half of sliced cauliflower. Increase heat to medium-high and bring to simmer. Reduce heat to medium-low and simmer gently for 15 minutes. Add remaining sliced cauliflower and simmer until cauliflower is tender and crumbles easily, 15 to 20 minutes. 4. Meanwhile, melt the remaining 5 tablespoons butter in 8-inch skillet over medium heat. Add reserved florets and cook, stirring often, until florets are golden brown and butter is browned and has nutty aroma, six to eight minutes. Remove skillet from heat, and use slotted spoon to transfer florets to small bowl. Toss florets with vinegar and season with salt to taste. Pour browned butter in skillet into separate bowl and reserve for garnishing. 5. Process soup in blender until smooth, about 45 seconds. Return pureed soup to clean pot, bring to brief simmer over medium heat and adjust consistency with remaining water as needed (soup should have a thick, velvety texture but should be thin enough to settle with flat surface after being stirred). Season with salt to taste. Serve, garnishing individual bowls with browned florets, drizzle of browned butter, chives and pepper.